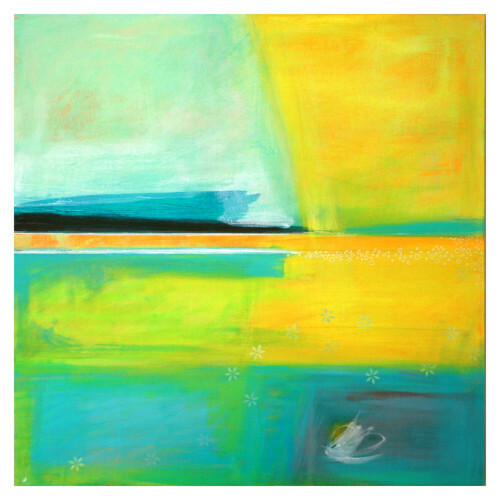 Victoria is a painter with a passion for remote and vast open spaces. 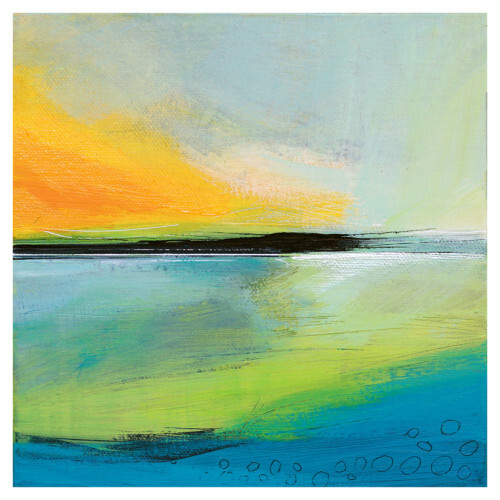 Horizon lines, colour, marks and patterns in the landscape have long been a fascination. 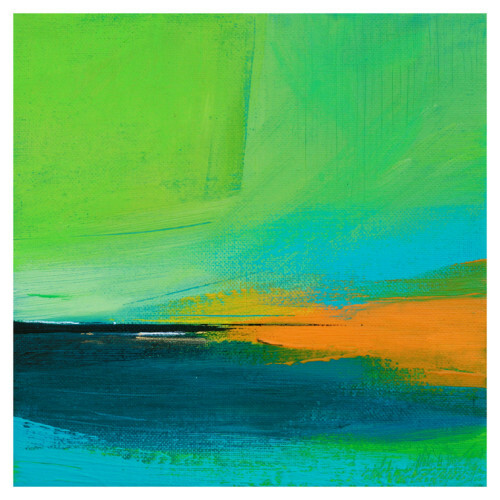 Drawn to the visual tensions that arise when sky meets sea meets land, she translates these experiences into bold, striking and abstract depictions of a place. 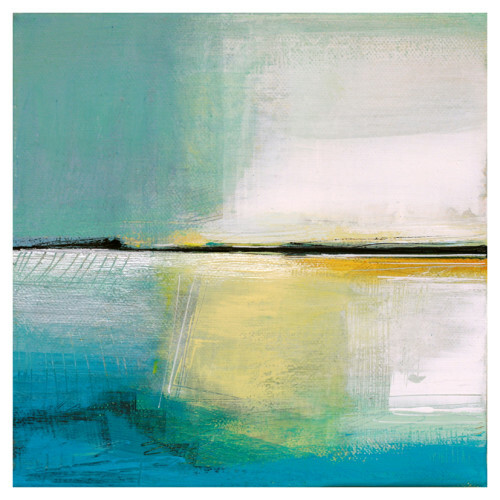 She draws inspiration from the Scottish landscape – her artwork is dominated by vast sandy white beaches, deep blue horizons and dramatic mountain ridges which stretch along the West Coast of Scotland. She has notated journeys from Findhorn to Gairloch, and throughout the ever-changing Angus countryside – from the Glens to St Cyrus and Lunan Bay, along the Fife coastline and everywhere in between! 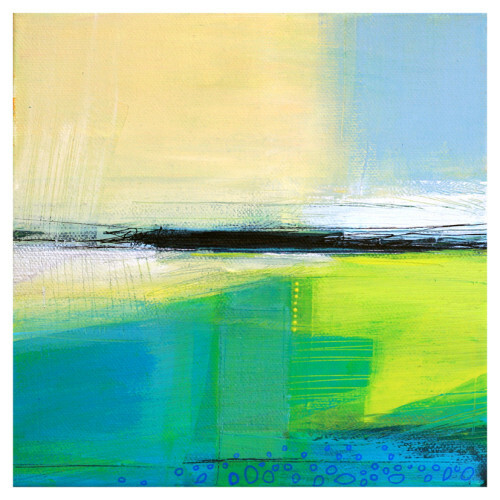 Armed with a knowledge of the physical geography of the landscape, a geekish interest in maps and cloud formation, and a desire to explore and breathe in the intoxicating wilderness air – her paintings are a contemplation of a place, much like a meditation or a daydream. 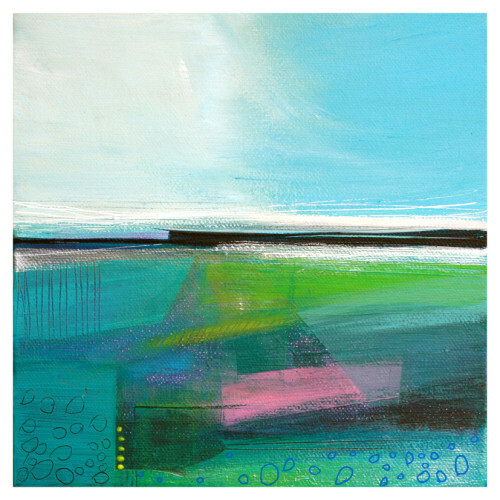 Victoria primarily produces mixed media paintings – she plays with textures, patterns, colours and layers and loves the idea of creating hidden layers in her paintings, with just a hint of what lies beneath – in the same way the geology of the land does to the knowing observer. Victoria has undertaken private commissions, projects and received a number of awards. 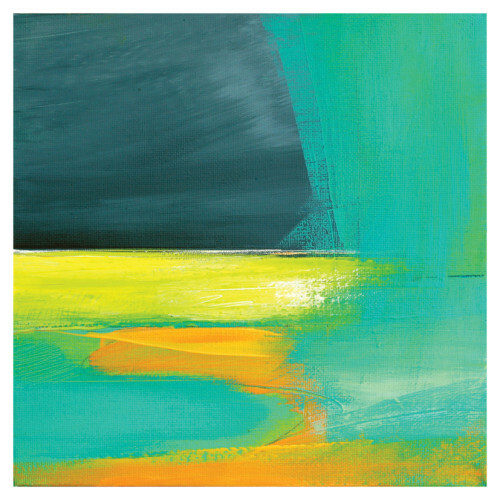 She has artworks in private collections across the world – including America, Australia, France and Switzerland, throughout Scotland and the rest of the UK. 2018: Tea Green at Kibble Palace, Glasgow. 2018: The Affordable Art Fair, Hampstead, 2018. 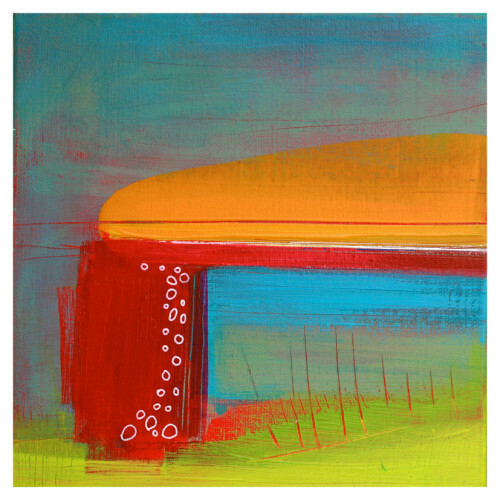 2018: Easter Exhibition – The Weem Gallery, Pitenweem. 2017/8: The Winter Show – Eduardo Alessandro Studios, Broughty Ferry. 2017: Tea Green at the Bowhouse, St Monans. 2017: Tea Green Pop-up Boutique – The Stables at Taypark House, Dundee. 2017: Festive Pop-up – 56° Collective, Kirriemuir. 2015 + 2009: Winter Exhibition, The Meffan, Forfar. 2016: On Land and Sea, The Hour Image Gallery, Forfar. 2004: Right of Way (Ceart Sli), Galway Arts Centre. (with Alec Finlay, Guy Moreton, and Zoë Irvine,). 2004: Work in Progress, The Changing Room, Stirling. 2000: 12 in to 2000 Inaugural exhibition, Park Gallery, Falkirk. 1997: Society of Designer Craftsmen Annual Winter Exhibition, Mall Galleries, London. In 2010, Victoria established Project Stuff – a design and project co-ordination business, and she splits her time between running workshops for young creatives (EXPLORE PLAY CREATE); making in her home studio; and the project work she undertakes for clients. She is an Associate of a service design and innovation company, Open Change. 2002 – 2003: Master of Fine Art –Duncan of Jordanstone College of Art & Design, University of Dundee.